Rahel is a positive and engaged person who has dedicated a big part of her life to advocacy work with disability rights movement both in her home country Ethiopia and Sweden. 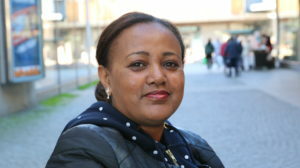 Rahel has been active in the civil society sector as a board member and Secretary-General of the Federation of Ethiopian National Association of People with Disabilities (FENAPD). she has also worked at the Ethiopian department of Landmine Survivors Network. During her time in Sweden Rahel has worked as administrative assistant at My Right. Since 2013 she is sitting on the board of the organization. Rahel is a field worker and the administrative assistant of Disabled Refugees Welcome project. Her unique experience and motivation is a important asset for this project. 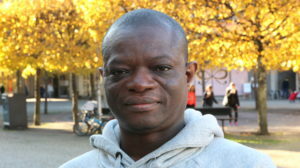 Julius has been politicly active and worked for human rights in his home country Cameroon before he came to Sweden 2015. He did his internship at ILI between March – June 2017. During the same period he took the initiative to start Disabled Refugees Welcome where he is currently employed as field worker. In that role Julius aims to create links between the target group, civil society organization and authorities in order to facilitate to integration efforts for disabled newcomers in Sweden. Julius’ experience in questions of migration and disability rights creates a broader perspective relevant for the project. Sooz is a engaged and creative person who is passionate about social justice, human rights and genuine participation. Sooz has long experience within method development education sphere and organization board work with specific focus on practical implementation of the intersectional perspective. Sooz has Master’s degree in gender studies with focus on norm critical pedagogy and public health science. Between 2013 – 2017 Sooz was board member in several organization among them RFSL Stockholm, Iterfem and Popkollo Stockholm. In 2013 Sooz together with others started RFSl Newcomers, focusing on the target group HBTQI asylum seekers and migrants. Sooz’s role in the project was organization developer. Sooz has even worked as method developer for the web based moderating training within the campaign No Hate Speech on behalf of Förening Norden. 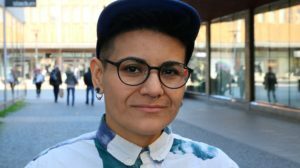 Between 2015-2017 Sooz was organization developer for the national organization of Popkollohar, created various trainings programs and developed Popkollo Stockholm’s project Music as a meeting point with focus on young newcomers and asylum seeker girls and transgender people. Sooz works as method developer and communicator for the DRW project. Sooz takes advantage of previously acquired knowledge and personal experiences within migration, their trans identity and norm breaking functional variations. Jamie is the executive director of Independent Living Institute and project leader of the project Disabled Refugees Welcome, financed by Arvsfonden. Jamie has Master’s degree in social anthropology and work experience of research in disability issues as well as international development cooperation. 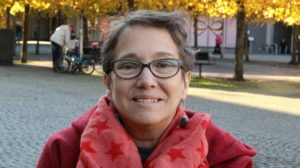 From May 2009 – October 2017 Jamie served as executive director at ENIL – European Network on Independent Living. She became member of STIL 1992. She sat on STIL’s board in 90’s and does it even today as deputy chairperson. Moreover Jamie is the coordinator of the project that STIL has in Bosnia together with IC Lotos through MyRight. Between 2010 and 2014 Jamie was also member of the advisory council of EU’s Fundamental Rights Platform (FRP). Jamie works for the right of independent living and self-determination of people with disabilities. By combining previous experiences from politics at local, regional and EU level and comprehensive knowledge from the international disability rights movement will make Jamie perfect for the role as the project leader for the DRW project. Riitta-Leena’s task in the project is to facilitate project workers with training and guidance as well as support in contacts with authorities. 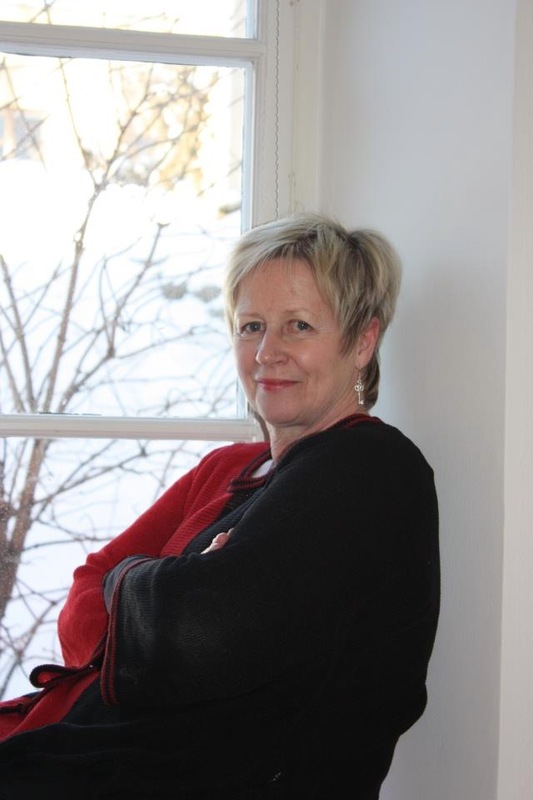 Riitta-Leena is born in Finland and has bachelor in social work from the University of Tammerfors. She moved to Sweden in the beginning of 1970s and graduated as head o operation within elderly and disability care. Riitta-Leena has had different leading roles within elderly and disability care at the Municipality of Stockholm. Since the end of 19080s she has worked with disability issues and served as the first disability ombudsman during 2002-2016. During that period she was monitoring the municipality’s work from the disability rights perspective. Employment at the municipality implied close contacts between the city and authorities and organizations withon disability movement. Accessability and participation issuses have engaged her during her entire work life. Ritta-Leena has delivered traning courses both onn national and international level. Even after retirement 2016 she has continued delivering training courses. Dr. Adolf Ratzka was born 1943 och grew up in Germany. He got polio in 1961 and since then electric wheelchair, ventilator and personal assistance. He lived at hospital between 1961 – 1996. He has studied sociology at the University of California, Los Angeles (1966 -1973), housing and urban studies (M S, Ph D) as well as psychology at the University of Stockholm (1978 – 1981). He was also researcher in functional architecture at the Royal Institute of Technology (1981 – 1994). Dr. Adolf Ratzka introducerad the philosophy of independent living to Scandinavia 1983. He was the initiator of the Stockholm cooperative for Independent Living (chairman until 1994) and the pilot project with personal assistance which became a model for the state finance personal assistance in Sweden in 1994. He has participated as invited expert/resource person in Independent Living at UN exvid Expert Seminars i Vienna, Stockholm, Estonia, Finland, Beijing, Costa Rica, Geneve, Taipei (member of the International Review Committee 2017 regarding Taiwan’s implementation of UN’s CRPD). 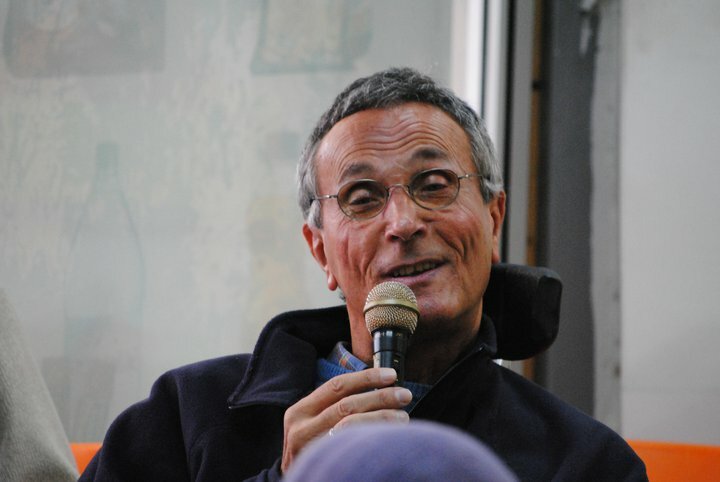 He was also a guest professor in Disability Studies, Universidad de Costa Rica (1994-1995) and member of the council of the disability ombudsman between 1994 – 2002, fellow, World Institute on Disability, Oakland, California (1985). Honors: named as the “European Visionary” in TIME Magazine Special Winter 98/99 edition “Visions of Europe”, European Citizen Award 2008.